8kHz mu-law encoded Sun audio clips of HAL. "I know you and Frank were planning to disconnect me...and I'm afraid that's something I cannot allow to happen." "Just what do you think you're doing Dave?" "I feel much better now." 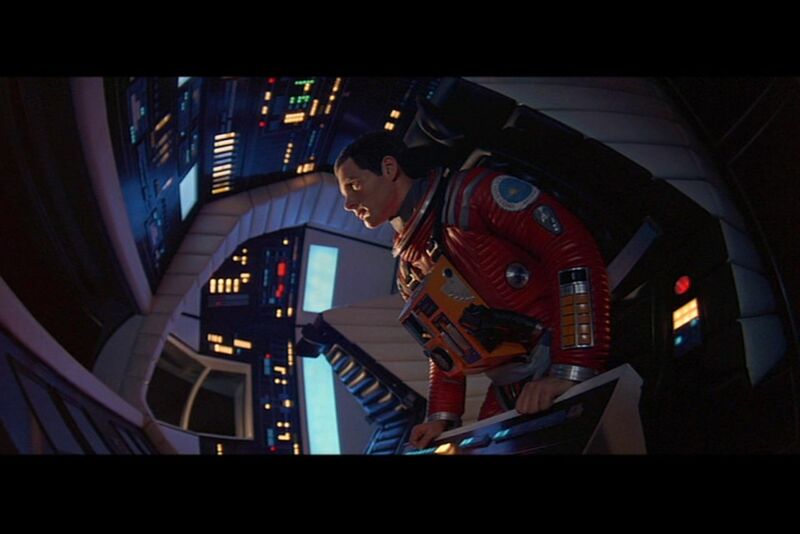 "Dave...My mind is going...I can feel it..."
"This mission is too important for me to allow you to jeopardize it." "There is no question about it." "Look Dave, I can see you're really upset about this...I honestly think you ought to sit down calmly, take a stress pill and think things over." 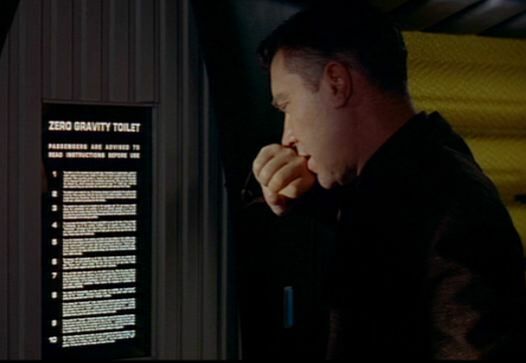 Instructions for the zero gravity toilet; the only intentional joke in the movie. 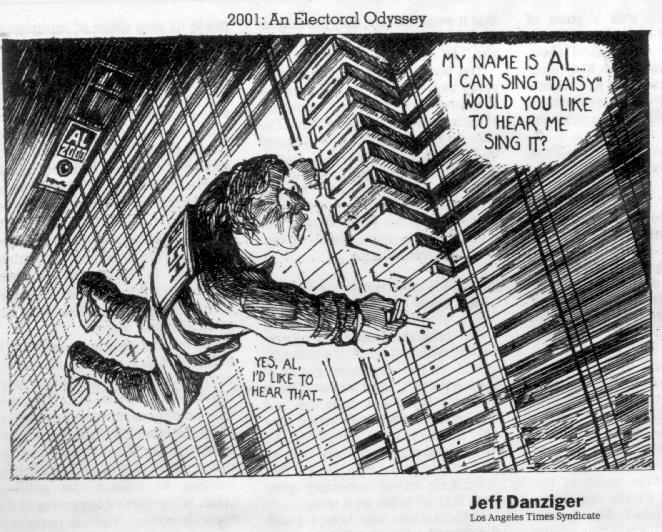 During the first week of 2001, various newspaper cartoonists paid homage to the movie. I collected all the ones I encountered. 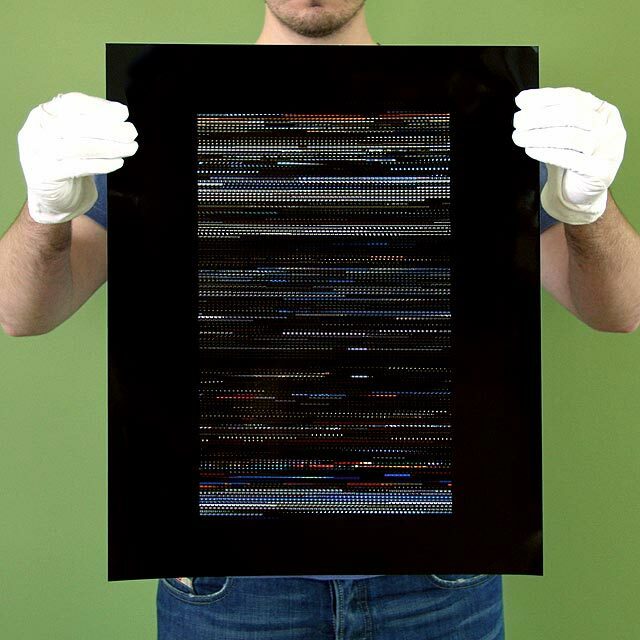 Brendan Dawes' Cinema Redux explores the idea of distilling a film down to one single image by sampling the movie every second and generating an 8 x 6 pixel image of the frame at that moment in time, with each row representing one minute of film time. These are 1280x854 screen-captures from the DVD, suitable for use as desktop wallpaper. If there's a particular scene you want, please email me. A friend of mine, who owns this record, bought it at a local Goodwill store. 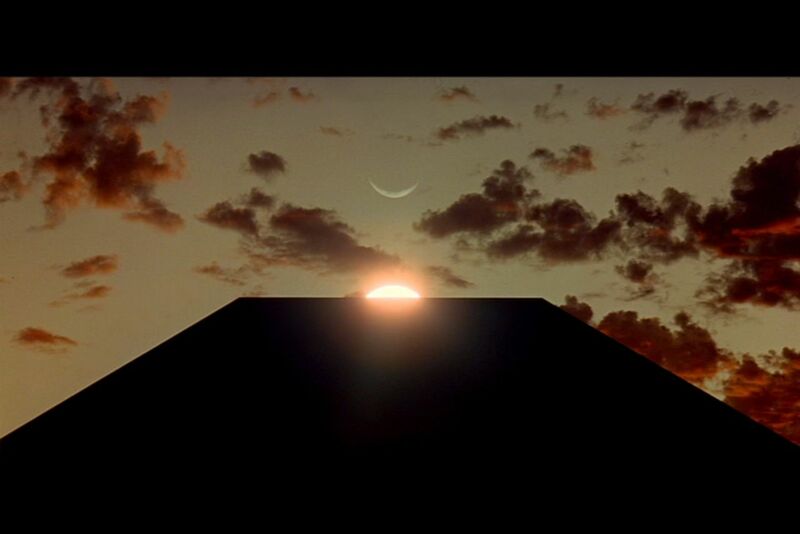 The movie premiered on April 2, 1968, at the Uptown Theater in Washington, DC. All the fonts used in the movie. 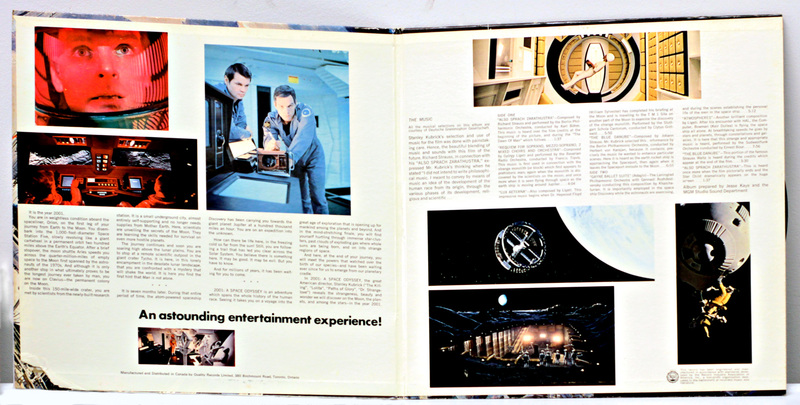 Information about the 70mm Cinerama theatrical release of 2001 around the world, including newspaper adverts. 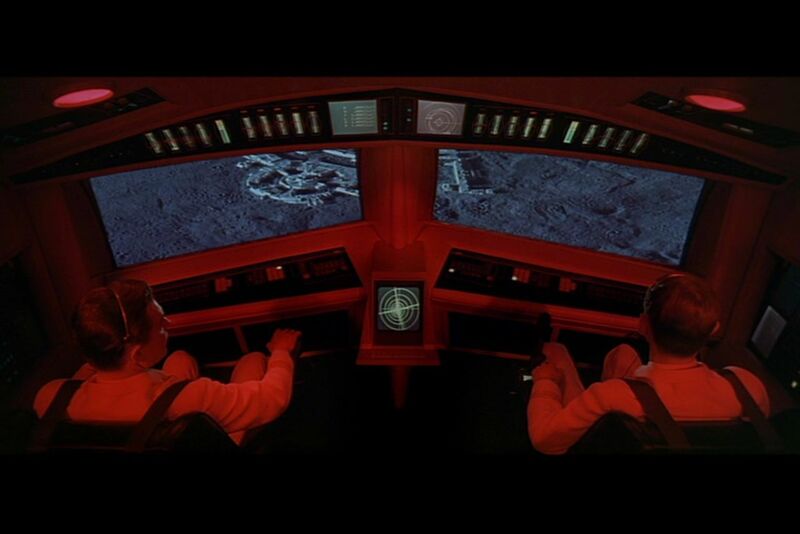 A book with various essays about the future of computing and the feasibility of a computer with HAL's capabilities existing in the our future. 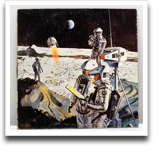 Foreword by Arthur C. Clarke. 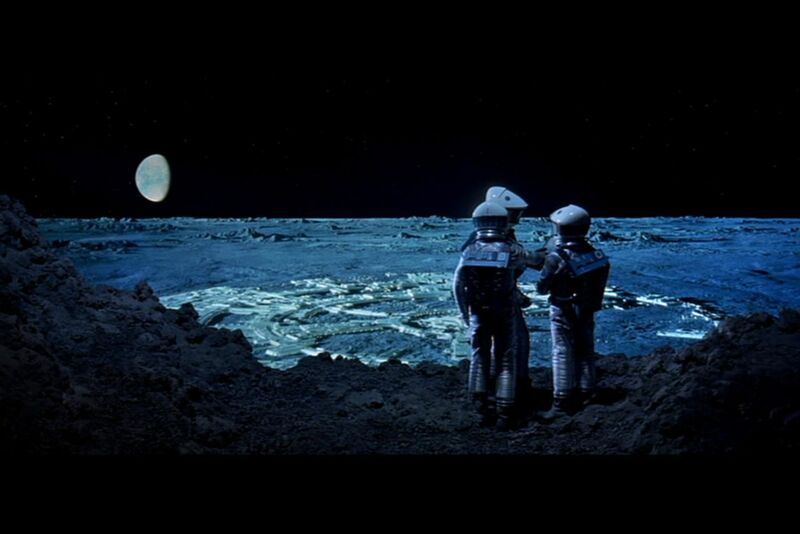 An extended look at one of the most celebrated SF films ever released. 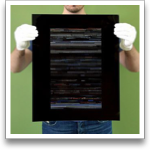 In December 1999, the San Mateo Public Library in California mounted an exhibition about "2001". 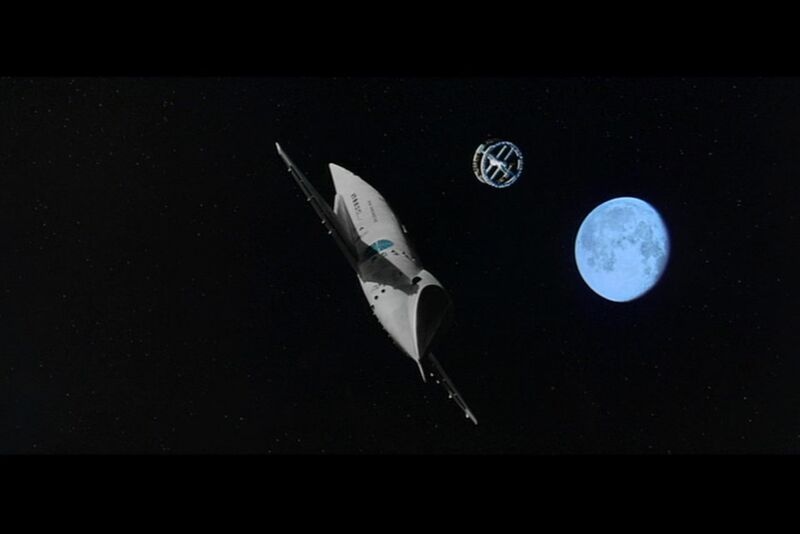 Computer-generate models of the Discovery, the EVA pod and the space-station rendered with LightWave (follow the "Gallery" link). 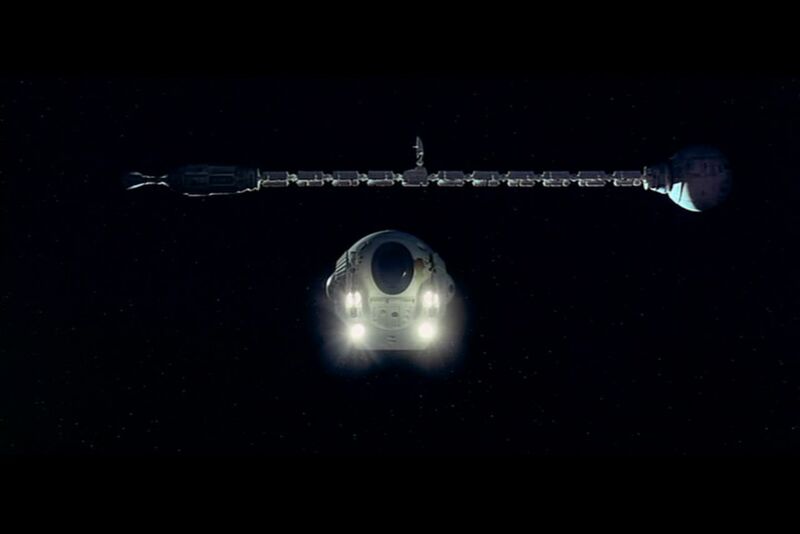 A homage to Kubrick's "2001"— except it is about, and is made with Lego! Vaious themes in the movie are explained using Flash animation. 2001-themed icons to customize your Mac. 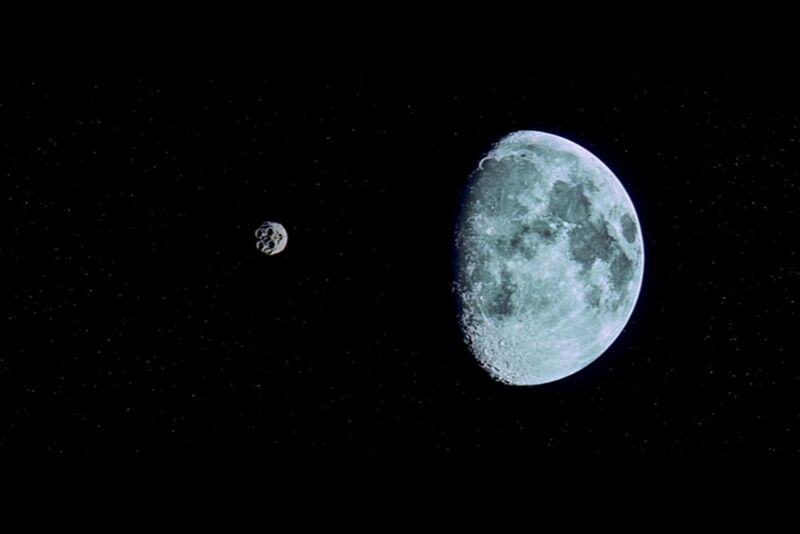 You can play Pink Floyd's "Echoes" in perfect visual sync with the "Jupiter and Beyond the Infinite" segment. Model kits of the EVA pod, or complete plans for scratch-building. Movie prop commissioned by Kubrick for the movie. A 6 foot long model of the Discovery constructed with more than 3800 pieces, includes miniature EVA pods. 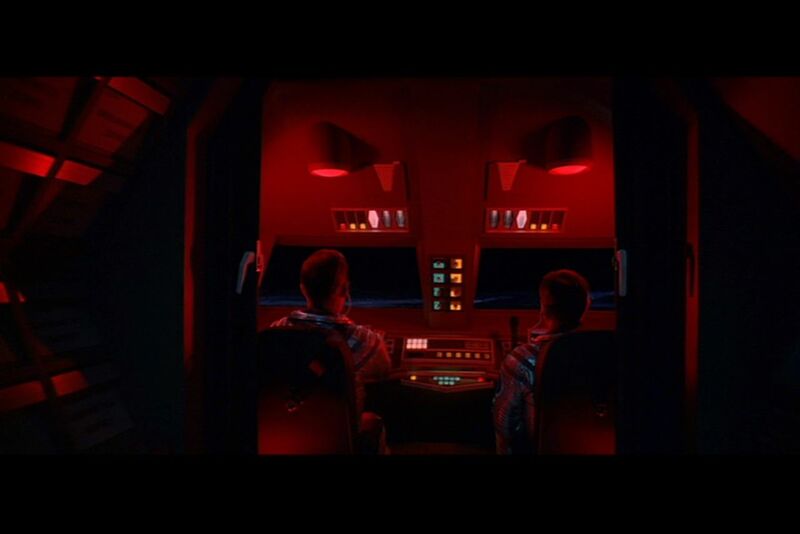 DIY HAL 9000 replica made from a big red button and an Arduino board. A scifi comic by Jack Kirby from 1976. 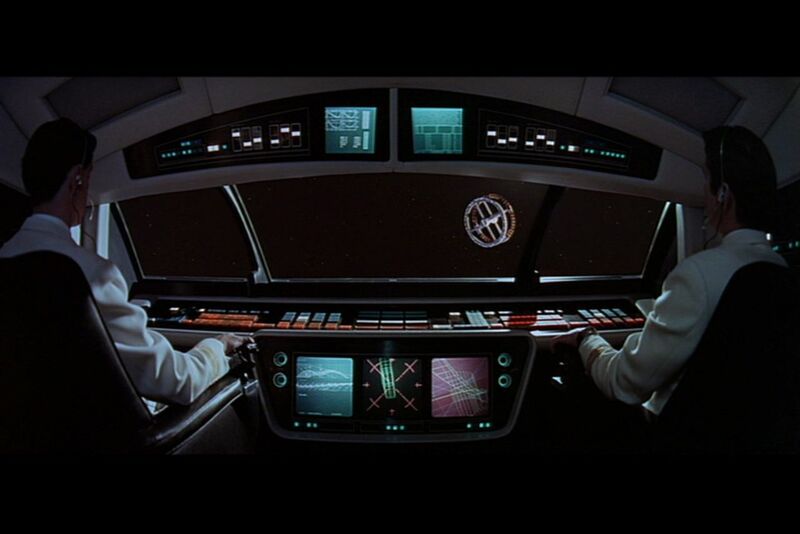 One of the few movie props that survived Kubrick's orders that everything be destroyed. A shrine, nay, a cathedral honouring the film master, Stanley Kubrick. 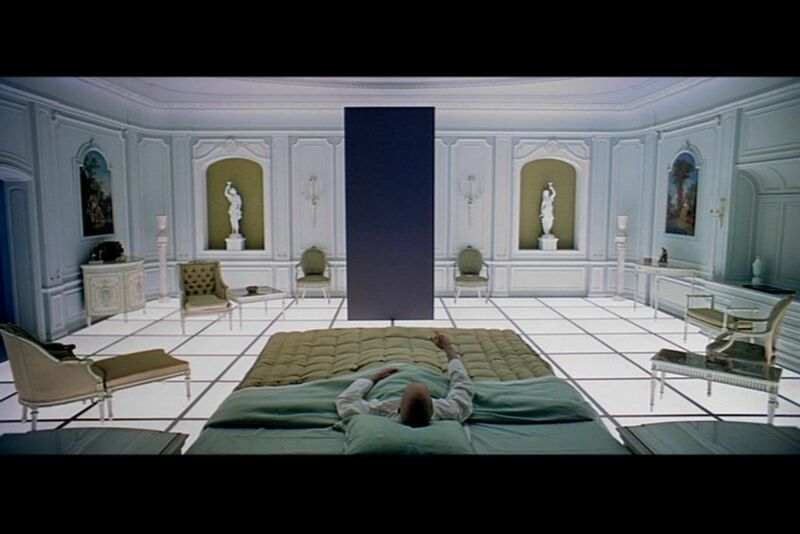 A guide dedicated to the films and genius of Kubrick. An article at The Guardian about Kubrick's estate, following his death. Kubrick interview at the premiere of "2001" at Lowes Theater. 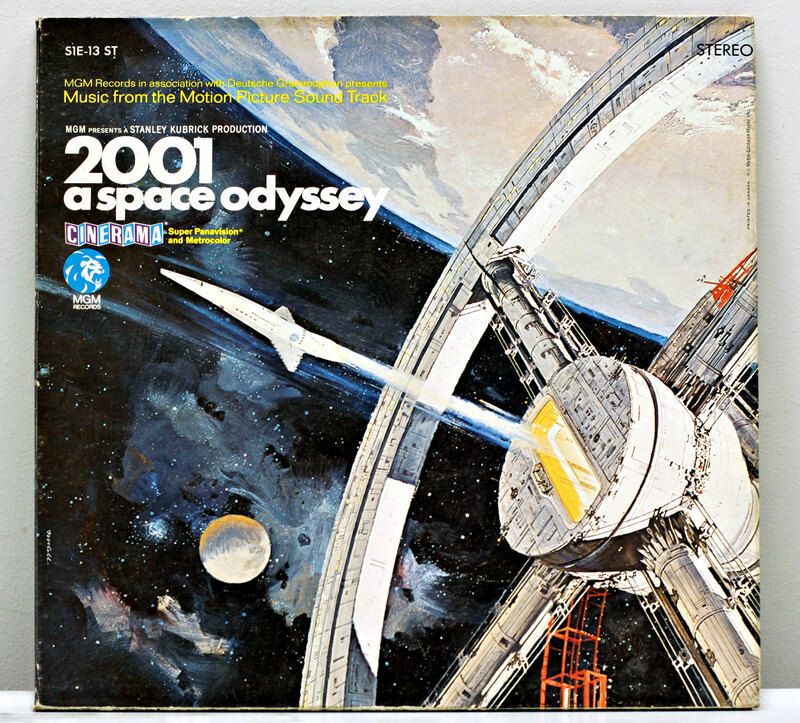 David G. Stork interviews Clarke about his collaboration with Kubrick on "2001". 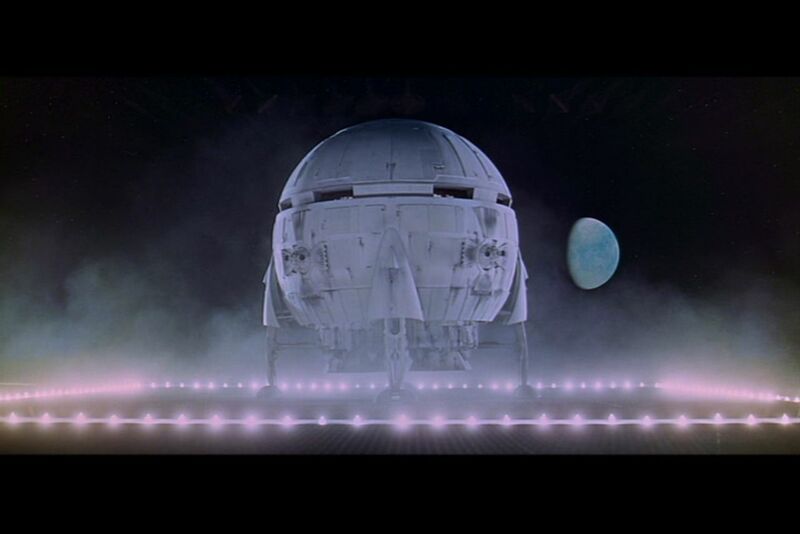 Animated GIFs from several scenes of Kubrick movies including 2001. 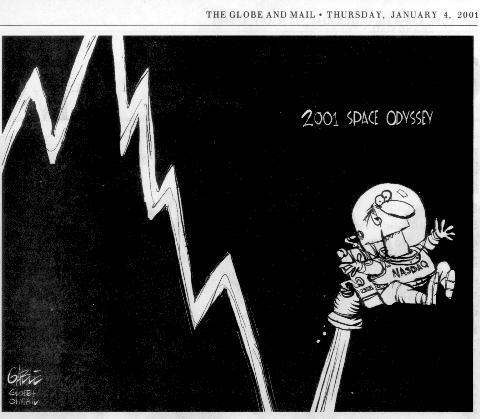 Linked to Jack Kirby's weird comicbook adaption of "2001". 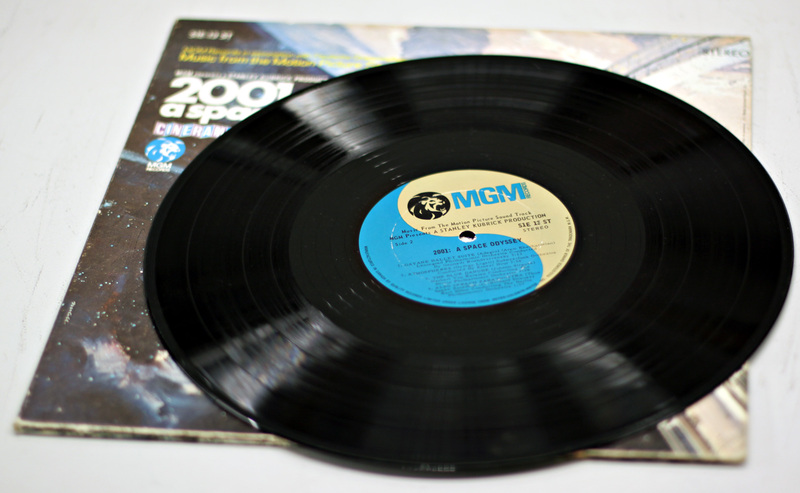 Added photos of 2001 LP record. 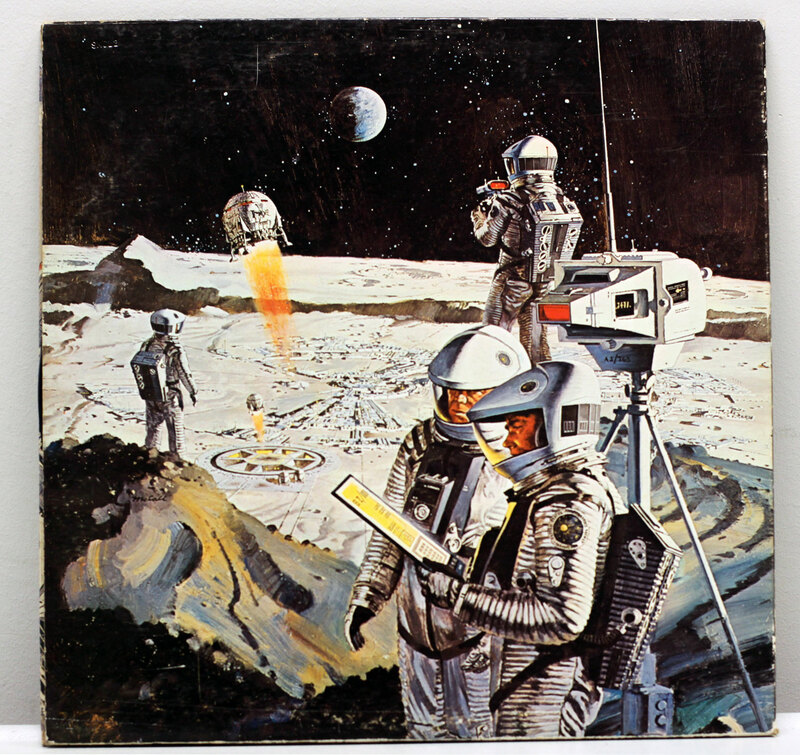 Linked to artist Robert McCall, who passed away. Wallpaper requests. Custom LEGO Discovery. 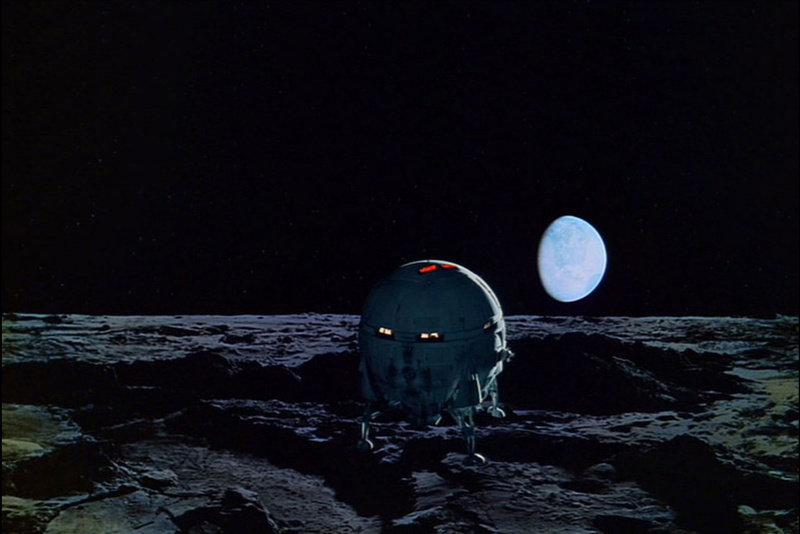 Arthur C. Clarke interview with David Stork. 2001 watch and pod models link.